Internalized racism is defined as “the acceptance, by marginalized racial populations, of the negative societal beliefs and stereotypes about themselves” (Williams & Williams-Morris, 2000, p. 255; Taylor & Grundy, 1996). Individuals may or may not be aware of their own acceptance of these negative beliefs. 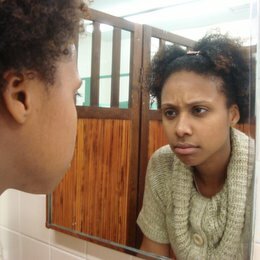 Internalized racism can also be expressed via a rejection of the cultural practices of one’s own ethnic or racial group. Components that have been considered part of racial identity, including racial self-hatred, may also be considered part of the construct of internalized racism (Cross & Vandiver, 2001; Wester, Vogel, Wei, & McLain, 2006). When the negative stereotypes are absorbed into the self-concept of a stigmatized individual, the process is referred to as self-stereotyping (Hogg & Turner, 1987; Simon & Hamilton, 1994).